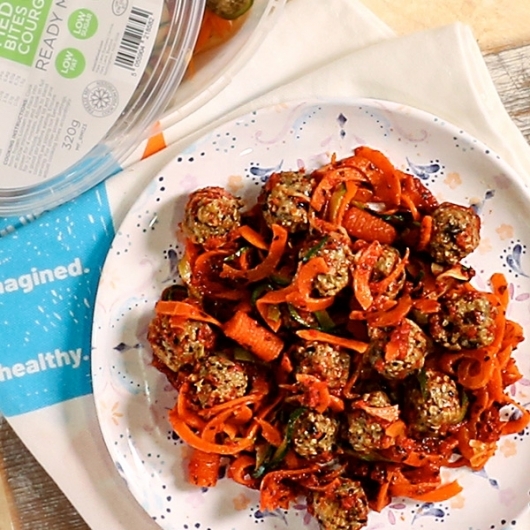 Convenient eating just got better with this Aubergine Olive Balls with Spiralised Vegetables Meal Pot, a quick, nutritious meal that delivers on taste! Starting with a delicious tomato ragu sauce, we've added Aubergine and Olive balls and teamed it with spiralised carrot and courgette - a great way to get your veggies in! What's more - at JUST 198 calories per meal - it won't have you thinking about busting your macros. All our nutritionals are verified by an independent lab so you know exactly what you're getting. These vegan meals are great as a lunchtime filler or a quick evening meal - simply put in the microwave for a few minutes before tucking in! Under 200 kcal per meal! Delicious, full of flavour, would definitely choose this again! 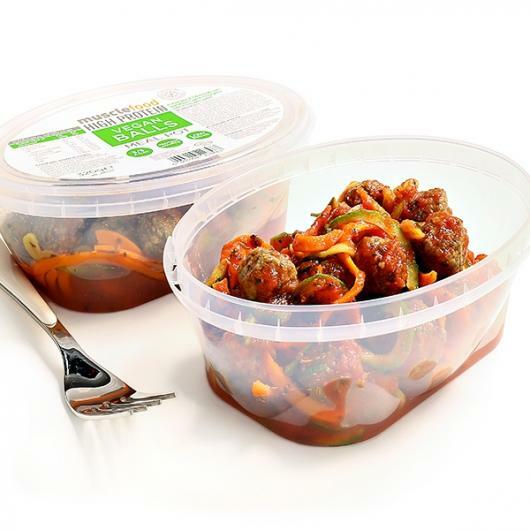 Suitable for freezing, freeze on day of receipt and consume by the date on the label. Defrost in a refrigerator and consume within 5 days. Once opened consume within 12 hours.